In Burgundy, referred to as “Bourgogne” by the French, is a region of France filled with wine, castles and scenic countryside. It’s just about two hours from Paris, right next to the Champagne region, and definitely worth a trip. The Burgundy journey should, ironically, begin in Chablis, where chardonnay grapes are grown for this white wine natives refer to as “liquid gold.” The Chablis here will never make you think of the boxed wine that came from California in the 1970s. It is crisp and fruity and delicious. Of course, it is not the only wine you will find in Burgundy. The region’s namesake is worth a trip to sample in its homeland. This dark, rich red wine is perfect with the area’s dishes, like Ouefs Meurette (Poached Eggs in Red Wine Sauce) and Boeff Bourginone (Beef stewed in Red Wine). As delicious as the wine in Burgundy is, there is so much more to see and do. This is the land of 100 castles and that is not an exaggeration. Castles are everywhere in this part of France and there are a few that you must see. The most special of all is Guedelon, and it’s like nothing you have ever seen before. It is actually not finished yet as it is being built only with techniques and equipment from the 13th century! Work on the Guedelon Castle began in 1997 and isn’t expected to be completed until 2025. It is open to visitors and is especially fascinating to kids. For grownups, the Chateau de Beru is owned by a countess who makes great wine and rents modern rooms out in this castle setting. ChÃ¢teau of Ancy-le-Franc is more than a castle, it’s a historical monument with enough art and history to give the feel of a fine museum, similar to Abby De Fontenay, one of the oldest of its kind in Europe. This 12th century abbey has changed owners many times and is a World Heritage Monument, the only private one in France. If you have some free time between wine and castles, why not enjoy the canals, hilly countryside and white cows (they are Charolais, and their beef is treasured in this area), by bicycle? Biking is very popular in Burgundy and you can either rent bikes or sign up for a cycling tour. 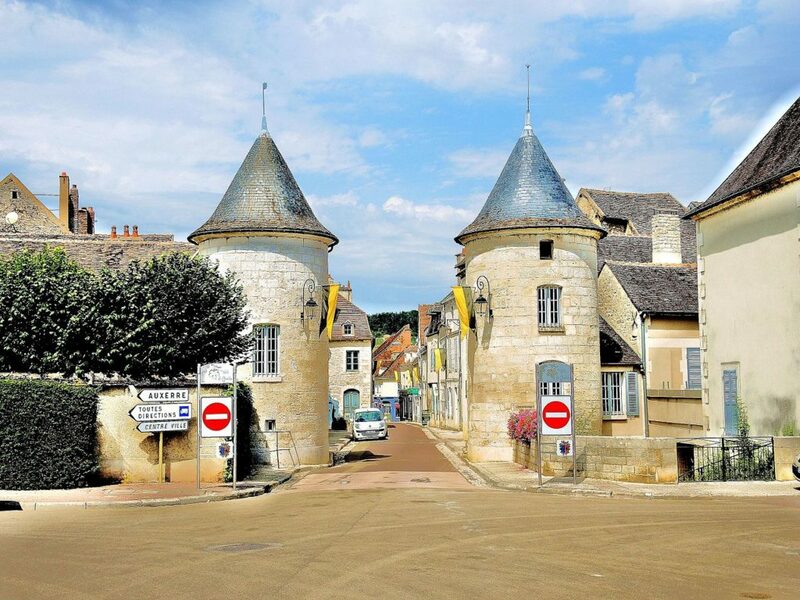 Also take a walk through the quaint town of Vezeley, where you can stay at Hotel de la Poste if you can’t bear to leave. At the end of the day, you won’t have trouble finding accommodations in Burgundy. It’s also the French region with exquisite hotels, such as the unusual old style of Auberge de la BeursaudiÃ¨re, the luxurious riverfront La Cote Saint Jacques, and the renowned Relais Bernard Loiseau, all of which also have excellent restaurants. For more information on visiting Burgundy, France, go to their official tourism website.